Israel cultivates support from outside. 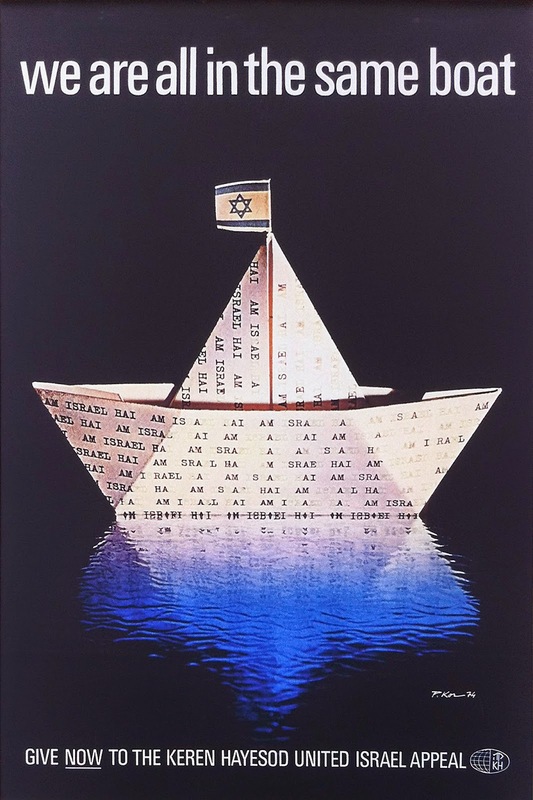 The Jewish diaspora is its lifeline. 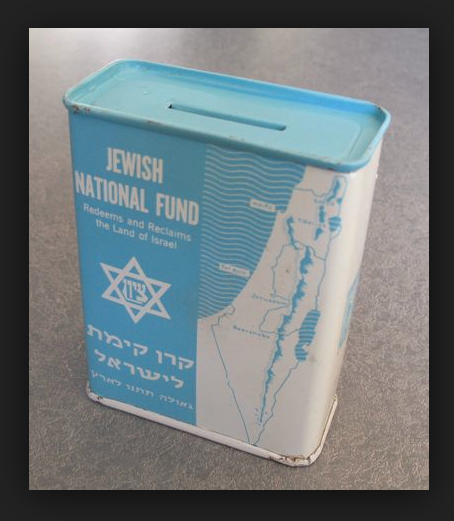 Many North American Jews are raised to identify with Israel, many go visit or donate money, some even learn Hebrew! (What more proof of devotion could you need?) But -- then if we criticize their "policies", Israel says "wait, why such a double standard for Israel? Why don't you criticize Syria, Libya, Iran?" 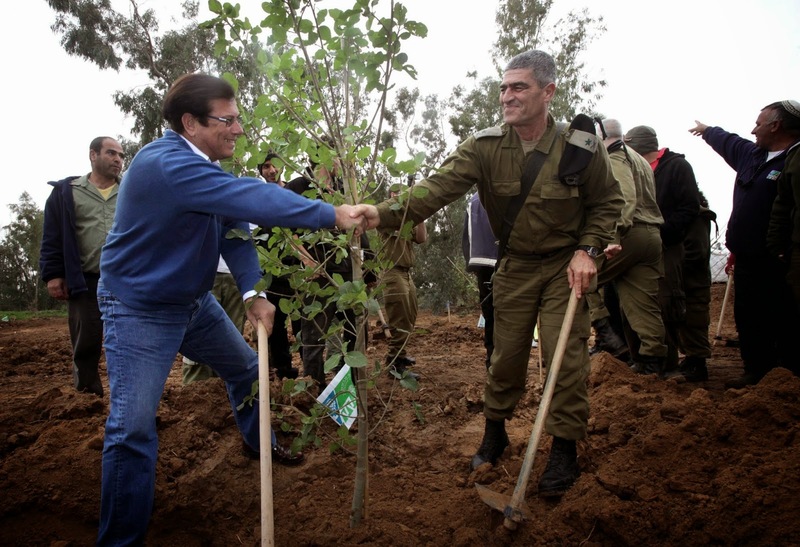 The answer is: “Syria, Libya, and Iran didn’t ask us to plant trees in their soil for tu b’shevat (the holiday of the trees, chag ha’elanot). They didn’t send us tree stamps to lick onto sheets of paper to illustrate how many trees would be planted with money we, as schoolchildren, raised in the diaspora. They did not ask us for money to help build hospitals to care for their wounded. They did not enlist us as their diasporic support community and they did not encourage us to personally identify with them. Their bloodshed is horrific but it feels less like it is on MY hands...."
When I was growing up I attended Hebrew Day School, and for a year or two our teacher for Jewish Laws, Norms, and Customs (I think) was a man named Aggassi, I think, or Agas. I remember because Agas means “pear” in Hebrew and the man had precisely that unfortunately shaped body. So he stuck in my (otherwise terrible) memory. I also remember one lesson he taught. He was describing Moses praying on the mountain and said Moses miraculously held his arms up in prayer for 40 days and 40 nights (or something like that). My seat in the class of 20 or so girls was in the back row. I surreptitiously held up my arms to see what was so hard about that? The teacher saw me and chuckled at my scepticism. He asked me to come to the front of the class. Did I not believe it was difficult? That holding one’s arms up like that was a miracle? He said I should stand in the corner in front of the classroom with my arms up to see how long I could last. It wasn’t long. I think Mr. Aggas(si) was a shaliach. A shaliach is someone who is “sent,” an emissary. He was sent from Israel to us, as were others, usually for 2-year terms, to live in our Jewish community. 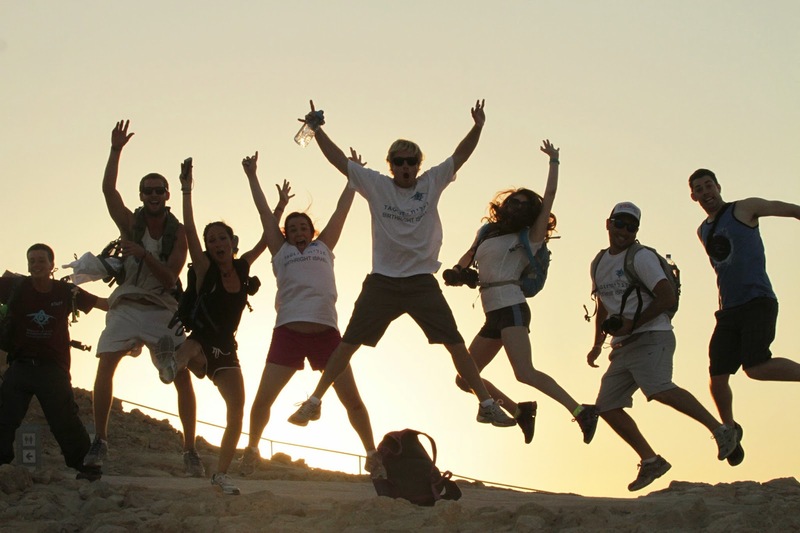 Shlichim (the plural of shaliach) led our youth groups, taught in our Hebrew Schools, served as counselors in Jewish summer camps, and lent support in synagogues and after school activities. 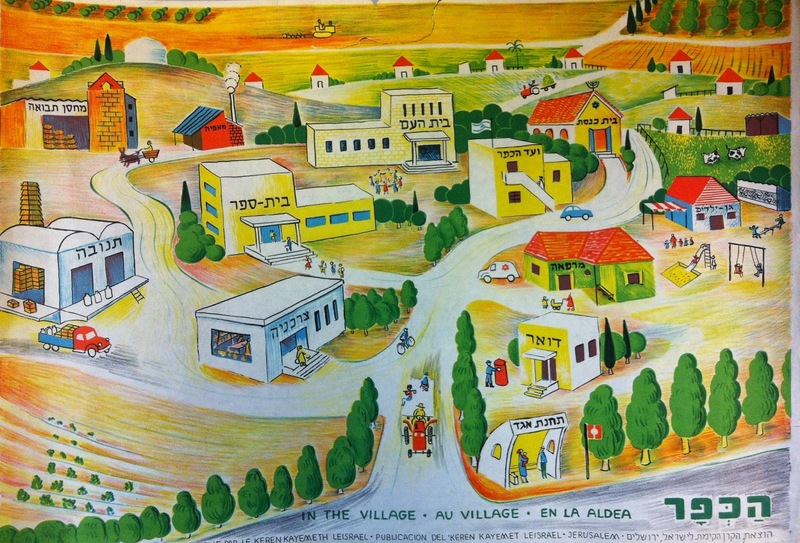 All that work, all that infrastructure, created a web of communities with deep affective and intergenerational ties to the Land and – for a long time -- unflinching support for Israel and its security ‘needs’. We learned a lot about Israel, but we hardly heard anything about displacement, occupation, Palestinian refugees. When we did hear something, it was said their crisis was manufactured by the unwillingness of other Arab countries to take them in and that they had left voluntarily, in any case. Not “our” concern. Israel was always precarious, we learned, but it had a promising virility (personified for us, tween girls, by all those male shlichim in their 20’s and 30’s), and a will to survive. We learned that we needed Israel and that it needed us. (Well, “she” needed us, is what we were actually told). We were both surrounded by enemies, after all: Israel by hostile Arab nations, and we by a pervasive anti-semitism that may have gone underground since Nazism but was always waiting to spring back up. Sharing a precarious existence, we were told again and again, we had only ourselves to count on and we needed each other to survive. The shlichim were just one part of a vast array of messagings and messengers that impressed us into the fate of the struggling Jewish democracy in the Middle East. In my middle school context, no one entertained the thought of a possible conflict between those terms – Jewish, ethno-national state and a democratic state. I had to go to college for that thought to become a thinkable thought. Why do I suddenly recall all this now? Because the affective machinery has malfunctioned. Affect has a life of its own. Once installed, it does not always obey the law, norms and customs to which some try to harness it. Even corporeal lessons can have a variety of impacts. Being made to stand alone in front of a classroom can return a child to the fold. But it can also habituate children to stand alone in front of others when situations call for it. That very devotion to the “Land,” cultivated with such care and detail in my own youth, is what forces many of us to stand apart now, to recoil and protest. As families do when confronted with violence committed by one of their own, we members of the cultivated Jewish diaspora now find ourselves split into two: loyal members of the fold and shocked critics. And we look uncomprehendingly at each other. This is not something new. It has been going on for over thirty years, for me. For some more; for others less. What I have described here is just a piece of the puzzle. It explains why some of us criticize, confront, protest, and boycott in particular in response to what is done by Israel because (even if we have not been to Israel for decades, or never at all) we know, we know – because we were taught so well – that all of this IS being done in our name. 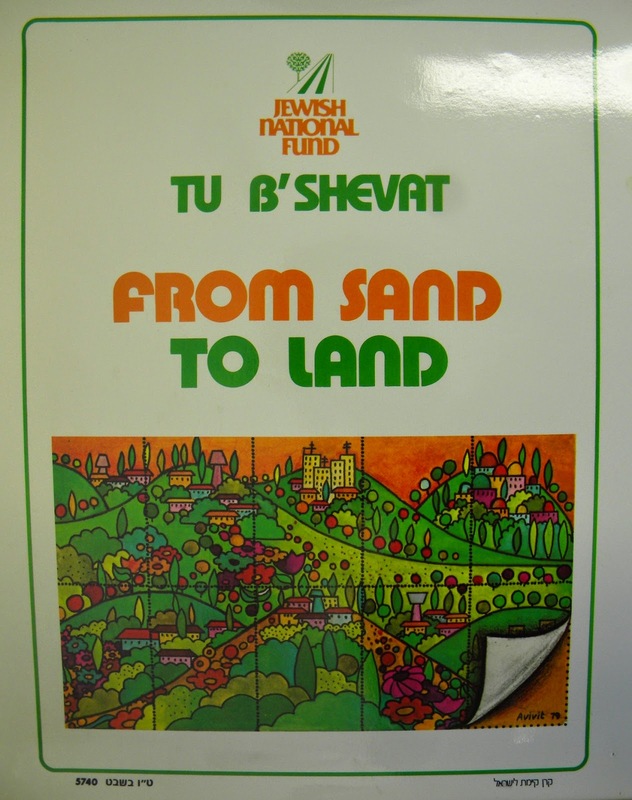 We know, because as children we licked those tree stamps onto those sheets of paper every year for tu b’shevat and I, anyway, can still taste them.